Reduce the hassle and stress associated with fighting a New York traffic ticket. Our staff will explain in plain English the process and will be honest about your prospects. Eliminate the need to wait on a DMV line or waste time in traffic court ... hire us instead. At the end of the day, you'll see it's no big deal! Should your case need to go to court, a New York traffic lawyer will vigorously defend you anywhere in New York State, including at the NYC Traffic Violations Bureau. Whether it is a speeding ticket, red light ticket, license suspension or any other NYS moving violation, you do not have to be inconvenienced. Let a New York traffic attorney appear on your behalf instead and make the whole experience no big deal. Our flat fee means no surprises for you and our experienced team of New York traffic lawyers really know how to fight your New York traffic ticket. Read more from Matthew Weiss at "Confessions of a Traffic Lawyer"
Matthew J. Weiss, Esq. graduated Hofstra Law School in 1984. He was Law Review and won the law school's prestigious Procedure Award. Upon graduation, he became one of the first Hofstra Law School graduates to work at the New York State Court of Appeals (New York State's highest court) working on various appellate matters. Mr. Weiss then worked for two years at Rivkin, Radler, Bayh, Hart & Kremer, a 200-plus attorney law firm, representing various clients, such as municipalities, insurance companies and large corporations, in various litigation matters. He also continued to do substantial appellate work. 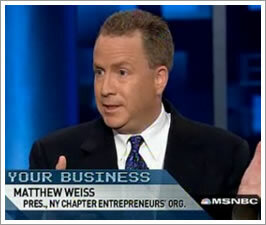 In 1991, Mr. Weiss co-founded his private law practice eventually buying out his former partner in 2000. Through the years, Weiss & Associates, PC has successfully resolved 1,000s of traffic tickets and trucking tickets for its clients by way of dismissal or plea bargain. Mr. Weiss has written many articles on vehicle and traffic law, and lectures other lawyers on this subject. His blog "Confessions Of A Traffic Lawyer" regularly discussions various vehicle and traffic law issues, and his web site New York traffic ticket lawyer has all types of valuable information. Since 2006, John has worked a full time traffic lawyer for Weiss & Associates, PC. John is conscientious, diligent and loves to win cases. John has personally tried 100s and 100s of cases for our clients including speeding, failure to obey traffic lights, faiure to obey a traffic control device, failure to yield the right of way, plus almost any other type of moving violation.